OPPO has just announced their newest, high-end flagship Android smartphone, the OPPO Find X. The last high-end phone that OPPO made was the OPPO Find 7, but this was 4 years ago. Since then, OPPO had been focusing on the lower to mid range market (like the OPPO R11s and the R15 that is coming here soon to Australia) – til now. To OPPO fans (and other Android smartphone users), the Find X is something to drool for and if you don’t like iPhone X‘s notch (yet most Android phones are following through with the design), OPPO has the niftiest, out of the box solution so far. But wait, after looking the picture above, where’s the notch (or even the rear camera), you ask? The notch is smartly hidden away, giving the phone an almost-no-bezel look with 93.8% screen ratio. When needed, the motorised tray slides into action, revealing the notch which contains the front camera, dual rear cameras, and other sensors. OPPO wants to ensure you that the mechanism is fail-safe, and they claim it has been tested for more than 300,000 times. This also kicks in when you want to login using your face (front camera pops in around half second), so it’s good to know that this motorised part of the phone has been tested properly and rigorously. We’ll have to wait to see if this is going to be durable for many years to come. 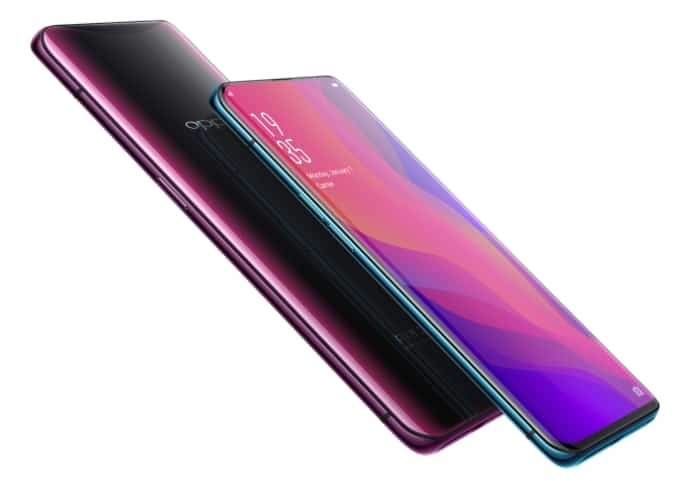 OPPO Find X has an OLED screen with 1080p resolution and comes with 2 beautifully designed colour theme: Bordeaux Red and Glacier Blue. 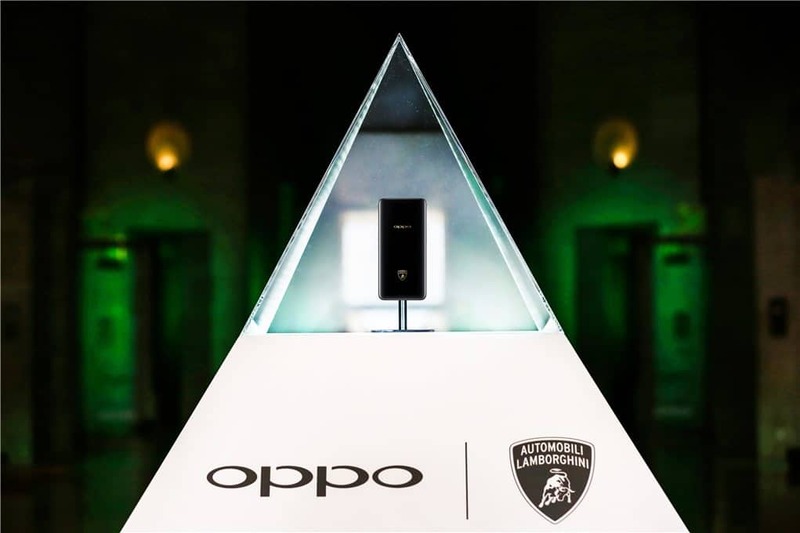 There is also the beautifully-designed OPPO Find X Automobili Lamborghini Edition, as a partnership result with Automobili Lamborghini for the next 3 years. 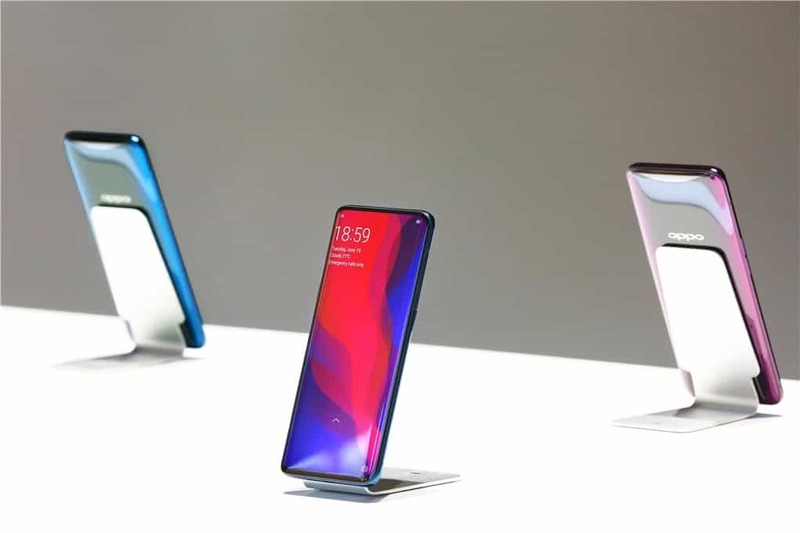 Apart from the amazing design, this particular version of OPPO Find X also comes with OPPO’s highly awaited Super VOOC flash charge. Super VOOC enables the charge power of mobile phone to exceed 50W for the first time and charges the phone to 100 percent in just 35 minutes. Wish it’s also on the Standard OPPO Find X though. Super VOOC was first announced back in early 2016. OPPO Find X will be available in Australia but pricing and availability date have not been announced just yet. Next articleRoidmi F8 Storm Review – A cheaper Dyson cordless vacuum cleaner?